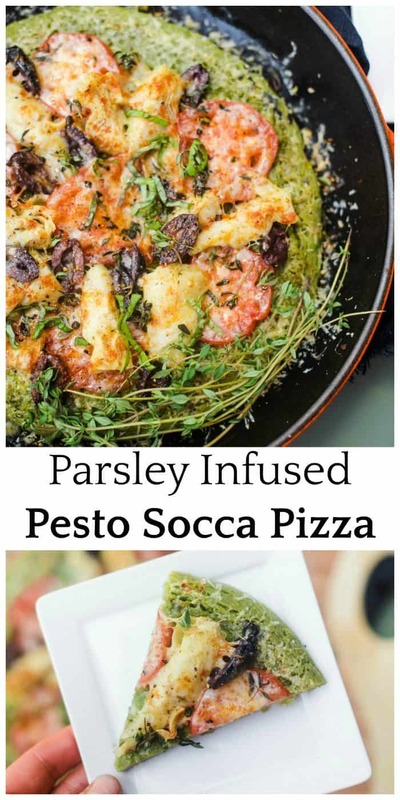 Parsley Infused Pesto Socca Pizza has amazing flavors of garlic and parsley! 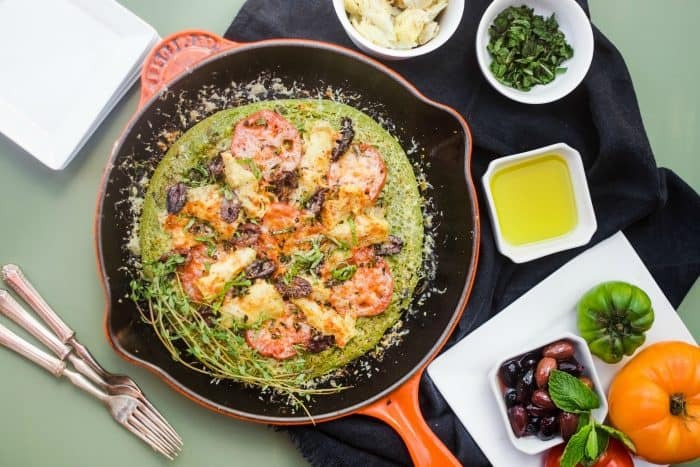 Socca pizza (Farinata) is a gluten-free garbanzo bean crust pizza or flatbread. Friends, do you live in your dream home? As much as I love our little mountain home, it’s not my dream home by any means. But guess what? It has everything I need, and I’m truly grateful for it. My kitchen gets used a lot. A LOT. And I love the openness and counter space. 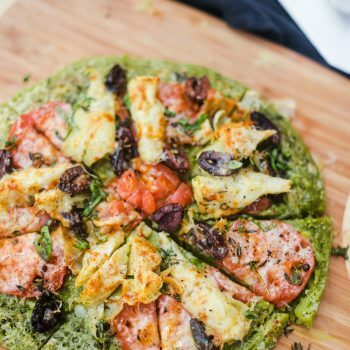 Recently my daughter and I whipped up a new recipe: Parsley Infused Pesto Socca Pizza. 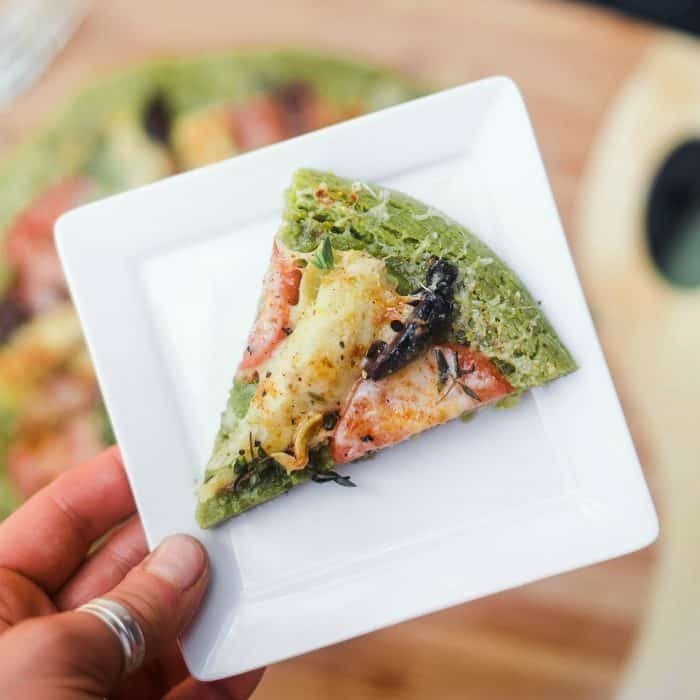 Socca pizza—farinata or socca bread–is a flatbread or gluten-free chickpea crust pizza. 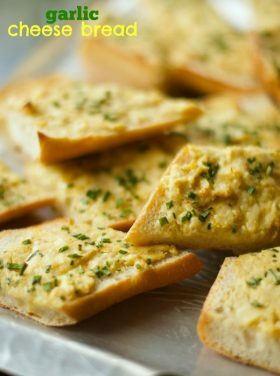 Infused with garlic and parsley, the flavors are delicious! Add your favorite toppings for the best pizza around! I can honestly say that I do love our home. It’s been such a gift and blessing to our family these last 2 years! 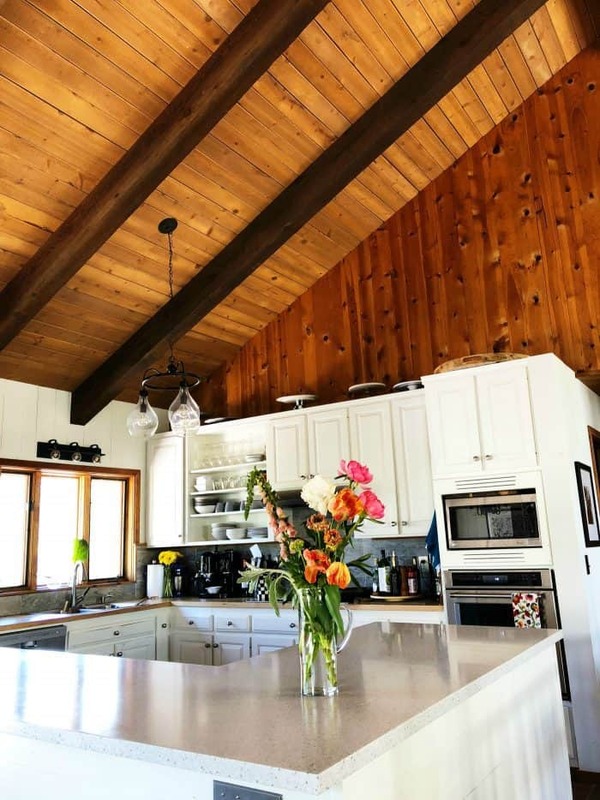 With all its imperfections, original squeaky floors, quirks (thank goodness we got rid of the high tank toilets), with no A/C–it’s been a fun fixer upper project. That truly warmed my heart. Creating a lovely atmosphere (never perfect), even when it’s not in our “dream” place, reminds us that inviting people in is more about the guests than our surroundings. 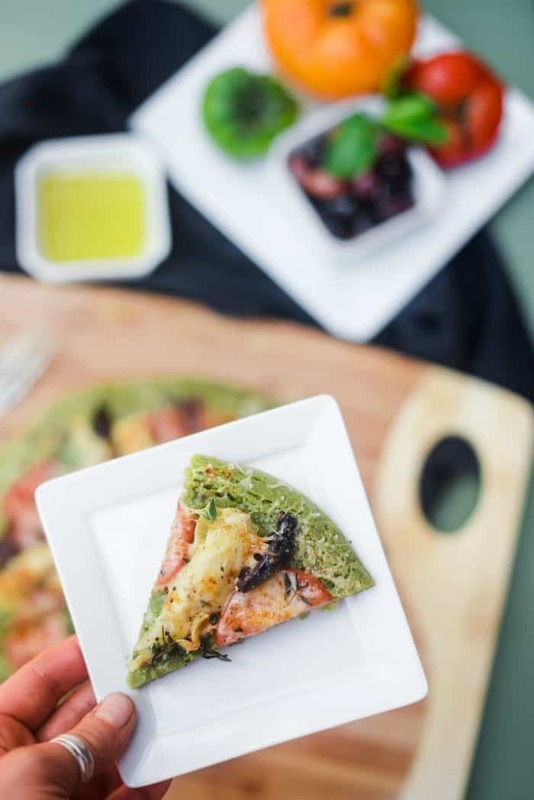 But I do want my guests to have their tummies filled up as well as their hearts, so today I think you’ll love this healthy, comfort dish: Parsley Infused Socca Pesto Pizza. In a blender, combine all crust ingredients, and blend until smooth and a vibrant green. Coat a medium-sized skillet with oil, then pour in batter. 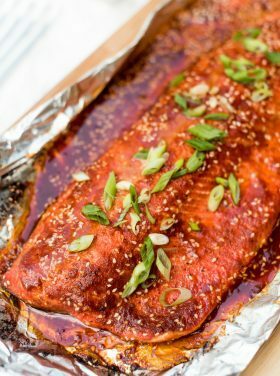 Broil at 450 for 3-4 minutes. Remove pan from oven, carefully flip the pizza, then return to broiler for additional 3-4 minutes. Remove from oven, then spread pesto—leaving about an inch of crust. Top with artichoke, olives, tomato, shaved parmesan, and any other desired toppings. Place on a lower rack and broil for about 3-4 minutes, until cheese browns slightly. 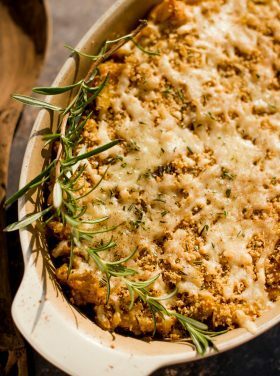 Remove from oven and garnish with lemon zest, pepper, and basil. Serve warm. More yummy recipes: Cauliflower Tortillas [RecipeGirl], Socca from Vieux Nice [That Skinny Chick Can Bake], and Socca Chickpea or Garbanzo Flatbread [Kalyn’s Kitchen]. 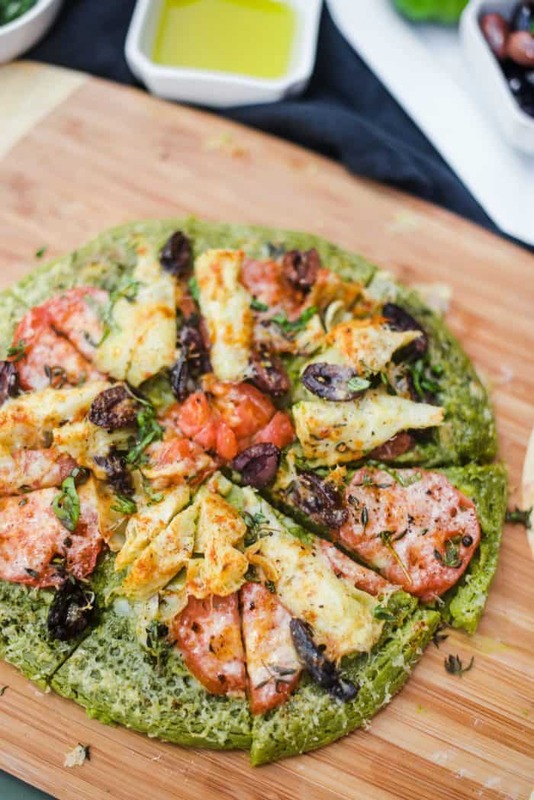 what a colorful pizza with pest too, love that, but really nice that you use chickpea flour rand garbanzo beans for the crust, wow, think that’s a good for bad carb swap too, very clever! Thank you! Goodness gracious the color alone looks scrumptious! Yum! Sounds great. I so agree that if I have my dream home (which I don’t either) but it’s not a place that cozy, loving, inviting, than it’s not worth it. I want my home to welcome people, to create an atmosphere where they can be themselves and I think that’s created not even by what is in the home, but how we make the home feel. Your kitchen is fabulous!! A wonderful spot to gather. 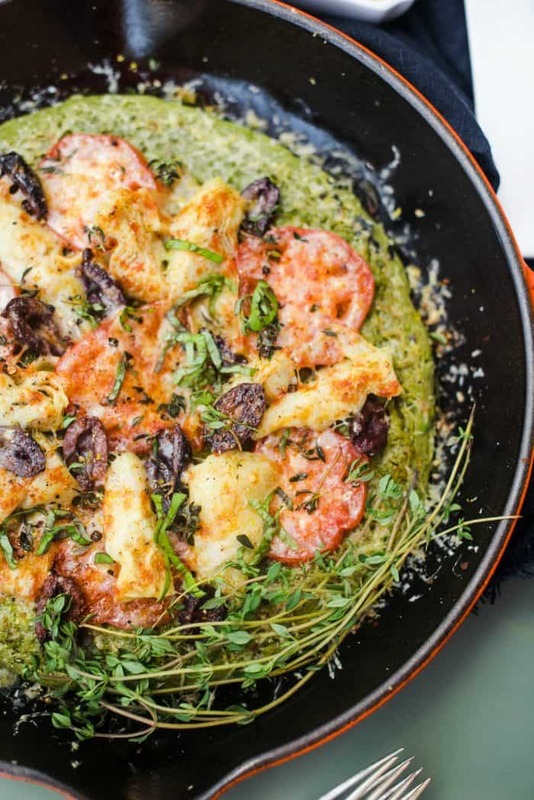 I love socca and adding pesto was genius! And adding toppings? YUM! Where do you get chickpea flour?? I love Socca! Wish I could go to France and try it there. I never thought of adding other things to it, but I bet the parsley is delicious!